With just under 5 months to go until our wedding, we’re starting to think of ‘save the dates’ or STDs as I’ve discovered they’re unflatteringly abbreviated to. According to “the suggested wedding timeline” we’re already a bit late with this – as by this stage we’re apparently meant to already be shopping for and ordering invitations. Whoops. As ours is a small wedding, it’s perhaps even more important to us that the people we’d like to witness the start of our marriage, are able to attend. It’s brought on a flurry of creativity, mainly from my incredibly talented and graphically-inclined fiancé – although if anything this means we have more ideas to choose from than we ideally need! We’ve narrowed it down to a “something” that will be given or posted – instead of a “something” that will be emailed. Obviously digital STDs will generally be more cost effective (not having to worry about printing costs or postage) and might also allow you a little more creativity and flexibility – with animations and video also being options to play with. It will also guarantee that your STD will arrive at your would-be-guest pretty instantly. I’m a little more old-fashioned and wanted a something that we could give to people – a physical piece of memory. Our idea at this stage is to have little business-card-size STDs printed and stamped, with a very simple message and a little magnet on the back – so it could literally stare at you on the fridge every time you go to fetch the milk or a midnight snack. 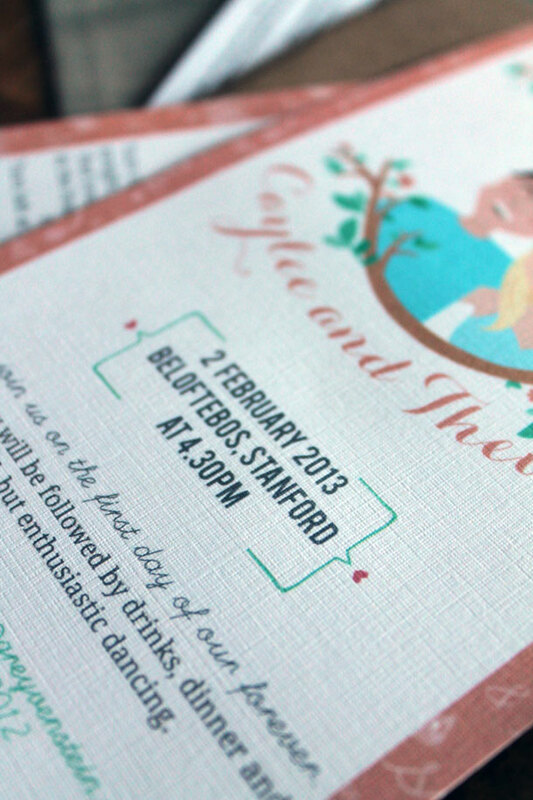 What are your thoughts on the start of “wedding stationery” – should it stay traditional with postage and envelopes, or move into the digital age and embrace the technology available?